Biometric data from higi will be integrated with clinical, claims, and genomic data from Interpreta under a partnership designed to enable physicians and insurers to cre­ate personalized-care “roadmaps” for patients. The partnership will rely on data collected by higi at its nearly 11,000 FDA-cleared, self-screening health stations—the largest such network in North America, the company says. 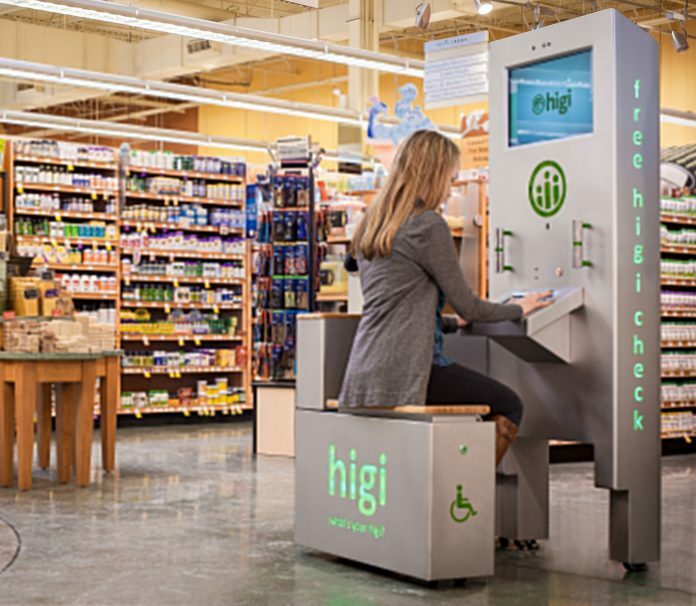 The stations are designed to capture biometric data from shoppers at loca­tions within food, chain drug, mass merchant, and club retailers. According to higi, 78% of the U.S. population lives within 5 miles of one of its health stations, which have been used by more than 43 million consumers. Data collected from those sta­tions includes blood pressure, pulse, BMI, weight, body composition, and self-screening questions. Through the collaboration, that data can be accessed by users through higi’s mobile and web app, then interpreted and integrated with clinical, claims and genomic data in real time by Interpreta, a San Diego, CA-based health­care analytics company. Ghouri and Khan Siddiqui, M.D., higi’s CTO and CMO, said their com­panies aim to close gaps in healthcare by promoting greater engagement and sharing of data by physicians and their patients.